Thanks to Sue Fleming, below are the corrected results from today’s British national racing at Hunstanton. 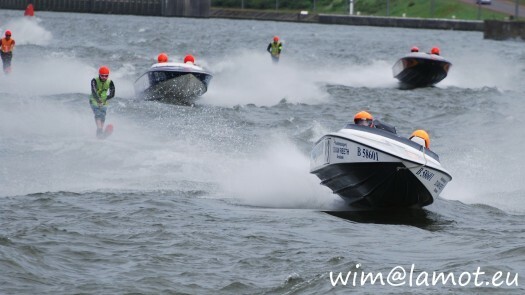 The final round of the 2011 European Cup Series takes place at Cardiff Bay in Britain. Before you go, make sure you download the Cardiff iPhone App so that you have all the local information at your fingertips. 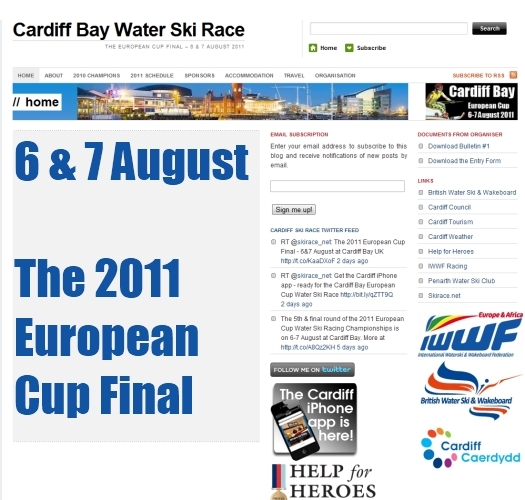 Bulletin 1 for the final round of the 2011 European Cup to be held in Cardiff, GB is available for download below. 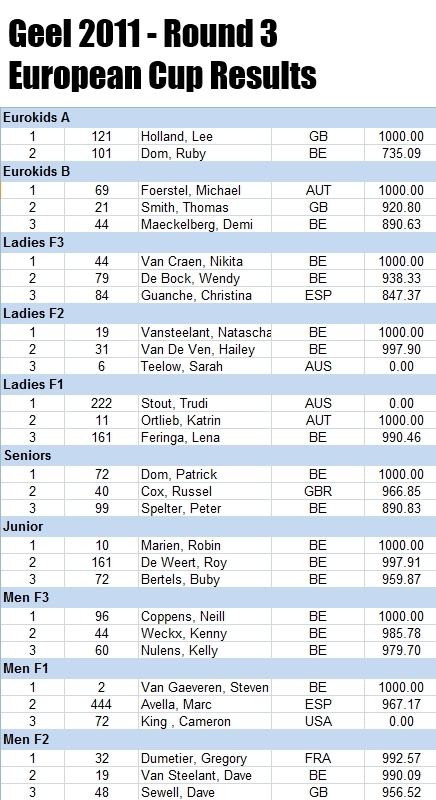 Thanks to Martine Ciroux, below are the results from the Geel round of the 2011 European Cup. 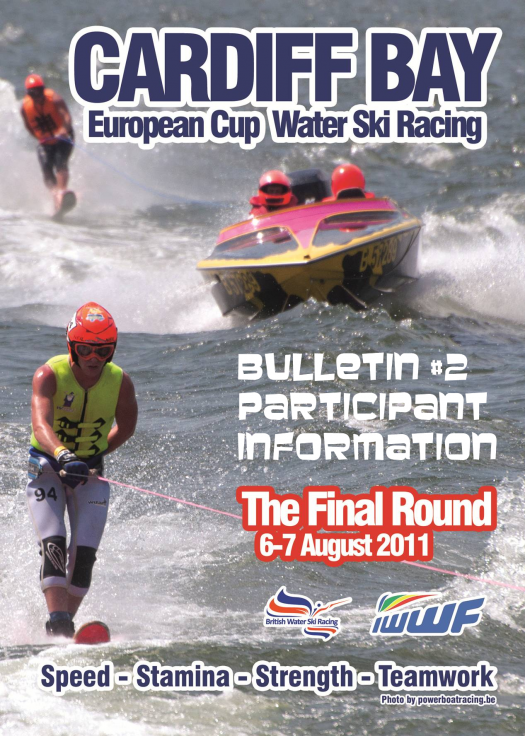 The 2nd official bulletin for the 2011 World Water Ski Racing Championships is now available below. On Saturday 25 June 2011, the New Bernico F3 Extreme was unveiled by Nico Bertels at Viersel, on the weekend of the 2011 Diamond Race. Rob Harks captured some of the moments. 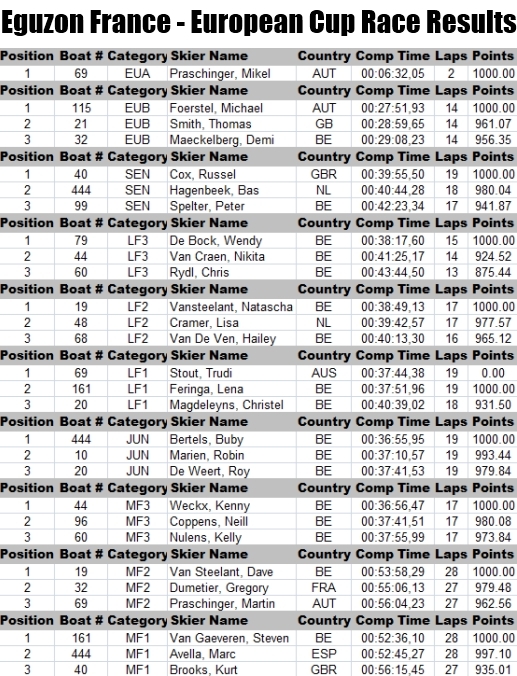 Courtesy of Martine Ciroux, below are the official results from the 2011 Diamond Water Ski Race. One of Britain’s brightest Junior skiers has suffered a blown engine on his twin, just days before the Diamond Race. Who Dug up the Diamonds in 2010? Glenn Geary wrote; well what a day it was with only 5 Boats starting the 2nd Ski 4 Kids with Cancer ocean race from Sydney to Newcastle after I had received 20 Entries. The day was as being reported all week with clear skies and 9-12 Knott Westerly wind, the swell at Manly was about 1.5 Meters but grew to double that of 3 meters and a couple or rogue waves peaking the 4 meter mark at Newcastle Heads. Top ski racing tweeter Scott Brooks will once again be keeping the world up to date – this weekend from Belgium. Live from the banks of the Albert Canal in Viersel, Scott will be tweeting the thrills & spills from 2pm Friday until Sunday night. Scott’s Twitter feed will also appear at the top right of this web site from Friday. Enjoy a taste of what happened at the 2010 Diamond Race as teams prepare for the 2011 event and the most grueling water ski race in the world. 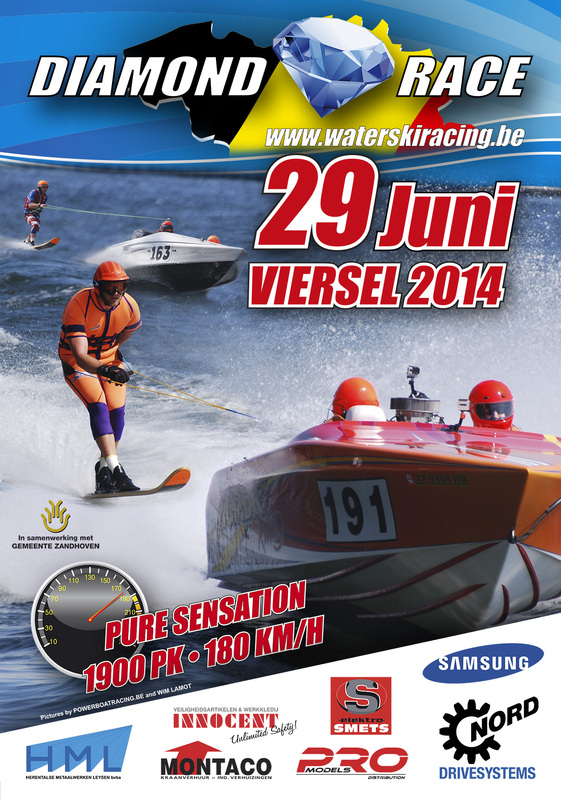 The web site for the 2011 World Water Ski Racing Championships was launched last year. This is where you should find all team details, race reports, results and other information for the big event. British Team Captain Darren Kirkland has announced the British Water Ski Racing Team that will represent GB at the 2011 World Water Ski Racing Championships in Australia. 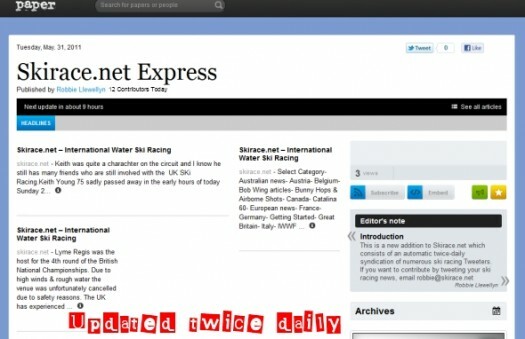 If you tweet about ski racing, you can be part of a new publication that Skirace.net will be serving to the world every day. For more information email robbie@skirace.net with your Twitter ID. Roger Lincoln published this Boat-cam footage from the 7th May Hunstanton Club Race in GB. 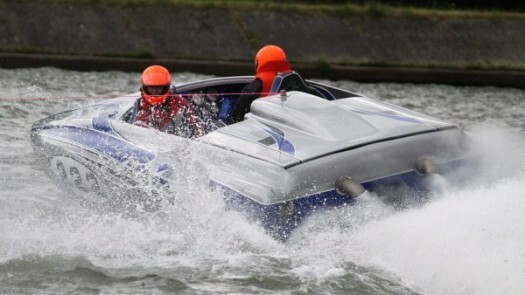 The video below is of James Bartlett and Team “Bubblin Hot” at the 2011 Marnham National Race. Ray Stokes has terminal cancer and the fight at this stage is grueling and unpleasant for him. 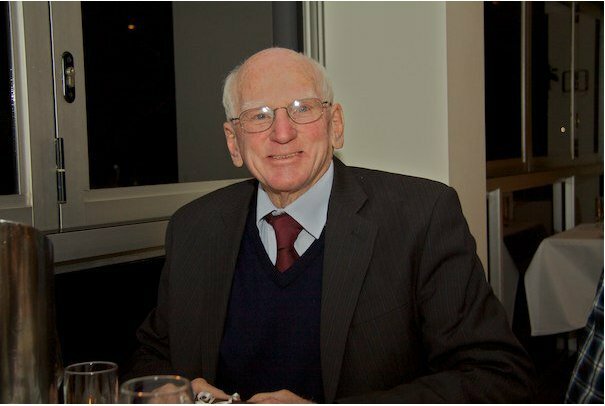 Please read this article by Jodie Skipper at Australia’s Waterski magazine via this link: at http://www.waterskimag.com.au/?p=703 to understand the huge contribution Ray has made to water skiing. You will find details at the end of the article if you wish to make a donation to the “Friends of Ray” appeal. Here’s 20 minutes of action from the stunning Lochearnhead in Scotland and one of the rounds of the 1993 Worthington Speedski Challenge produced by Peter Butler and Liz Hobbs (MBE). Another 20 minutes to be published next week. 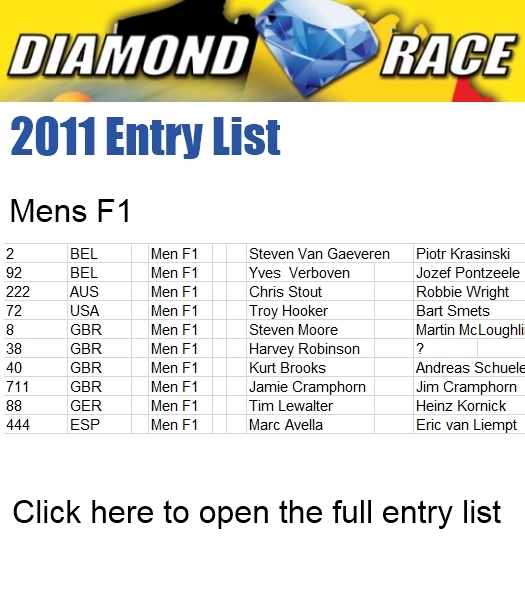 Below is Bulletin 1 for the 2011 World Water Ski Racing Championships. On-board footage from superclass boat Top Gun in the 2011 GTS Mildura Easter 100 Dash for Cash. Qualifying 3rd at 123mph for the main race on Sunday. It always amazes me that this site draws in so many visitors every day, 24hrs a day from all around the world. When the site started 15 years ago, I remember being amazed that it had 6 visitors in one day! As a result of the recent Southern 80, the site racked up almost 4,500 visitors on Sunday, whereas an average mid-week day clocks up 1,000 to 2,000. Click here to watch heaps of Southern 80 videos now on YouTube. The footage below is by Philbie. The skirace.net counter at the top left of the page reached over one million a little while ago. 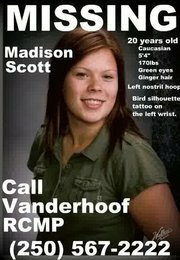 That’s since the counter was switched on in 2008. The stats below show the weekly page views for the last few months. A superb piece of boat-cam footage from the Australian World Team selection race this weekend. No psychobabble, no self-help clichés, no touchy-feely theories. 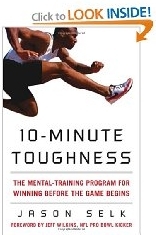 When striving to get ahead in sport, 10-Minute Toughness is the simple and effective mental-training program to help you make the most of what you’ve got and give you the extra push you need to go the distance. 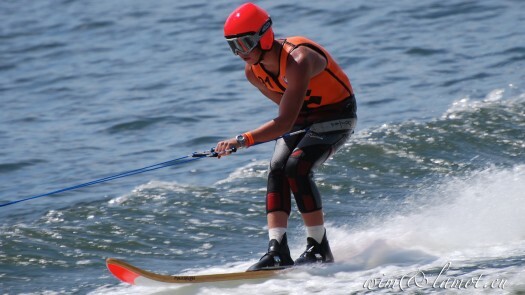 Waterski Racer News has kept readers up to date with the Australian water ski racing scene for many years. If you don’t already receive the paper, simply complete the subscription form below. The Skirace.net team has recently agreed on a new regular feature for the site. Every fortnight, a skier, driver or observer will be profiled and named “Racer of the Fortnight”. As everyone in ski racing knows, Karl Brooks tragically lost his life in 2007, but the memory of Karl and the wonderful person he was, is still with all of us. Howie Hook of H2O Graphics has once again been good enough to re-vamp the Skirace.net banner that you see at the top of the web site as a favour to the sport. Many thanks to Howie for this superb artwork! Thanks to Julie Golledge, Karen Brooks & Wade Bennett, Skirace.net has started the year stronger than ever with viewing figures on the up as shown below. You can also see the counter at the top left of the site, slowly approaching one million visits since July 2008. Alan was a founder member of Whitstable water ski club. He was involved along with keith rose in the first visit to Belgium to experience their river ski racing in the 1960’s. Alan was one of the organisers of the inaugural Cross Channel ski race which included both British and Belgian skiers, and most notably Tony Armstrong Jones who was later to become Lord Snowdon, and Tony Richardson the secretary general at the time of the British Water Ski Federation. Alan was also a member of the BWSF racing committee with Keith Rose, Ron Gee and one – John Hoiles in those formative years. His contribution to the sport was immense over many years. Alan’s involvement extended well beyond these shores as he become a very highly regarded and very competetent national and international judge, being the chief judge at many national and international prestigious events. His contemporary judges at the highest level were Arthur Dawe, Ted Rawlings, Peter Felix, Keith Rose and his very good friend John. Alan was on the panel of international judges at the very first world water ski racing championships held at Whitstable, Allhallows and Welsh Harp all here in the south east of England back in 1979. As water ski racing developed and became recognised in its own right as an international sport, then with the frame work of an European council and indeed a world racing council, Alan was always there to give wise counsel to his peers and was I know of great support to John Hoiles who later became chairman of both bodies. Alan was always a gentleman, a scrupulously fair judge, and a really popular guy who earned the respect and affection of all with whom he came into contact within our sport. 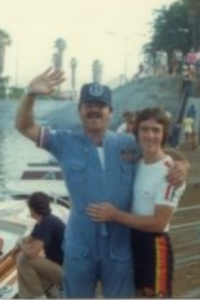 I have been asked to pass on the respects of many national / international water ski officials from down under, from the United States, and particularly Europe, and of course from GB, all of whom have only the very best memories of Alan. “We will all miss him”. Norm Griffin is known the world over and was involved in water ski racing for decades. Sadly he passed away on Friday 12th November 2010 and left us with many memories of a great guy who did so much at every level of the sport. His grandson Tyron uploaded these photos onto Facebook and has shared them with us here for us all to enjoy some of the memories. 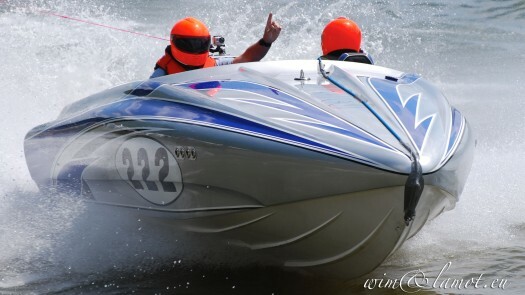 The United States-based high performance fiberglass powerboat manufacturer Donzi Marine has committed to participate in the 2013 Cowes-Monte Carlo Grand Prix, becoming the first American entry in the 2,400 nautical mile ocean race. Just before the New Year I announced that I would no longer run Skirace.net because of the time it required. Since then, I’ve received dozens of messages from people who were disappointed, and from people who offered to help keep the site going, and I appreciate all of these. Australia’s World Champion Wayne Mawer was very proud to announce today that his wife Natalie gave birth to a beautiful baby girl named ‘Jada Grace Mawer’. Born at 1:08pm today, 8lb2oz, both baby and mum are well. A terribly sad New Year’s day for ski racing as Britain’s Bunny Howell suffered a heart attack this morning and passed away. After 14 years of publishing water ski racing news online, I’ve decided to call it a day and so I won’t be publishing any more news & updates. It’ll free up some of my time for other things. 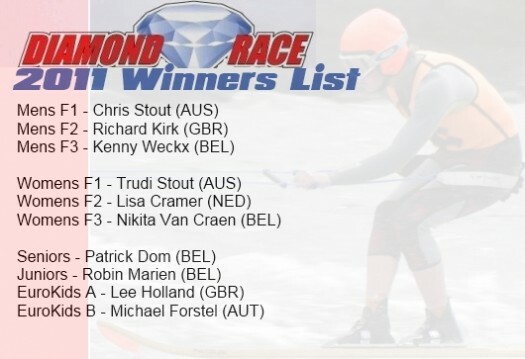 It will be unusual to watch international water ski racing without Darren Kirkland competing at the very highest level. When he started racing behind boat number 33 as a young boy, his destiny was perhaps written on the side of his boat in the form of #33, for him to compete for another 33 years. This is something that very few racers ever have and ever will do. People come and go, enjoying short glimpses of the limelight on a ski, but ‘Kirky’ has enjoyed over three decades in the spotlight on an international stage. 321Ignition has announced that the first Ski Racing Australia show of the 2010/2011 Ski Racing season will be aired on SBS Speedweek on Sunday January 2 at 12:30pm ESST. Thanks to Vera Van Den Bossche and the E & A Racing Council, below is the Official E & A racing calendar for 2011 (updated 11 Dec 2010). Ann and Brian Eastwood are delighted and thrilled to announce the safe arrival of their grandson Harry David Thomas Eastwood born 11pm 1st December weighing 8lb 13oz. A wonderful baby boy for the proud parents, Damon and Joanna. Congratulations to former international racer Damon, Joanna & the proud grandparents. e.SKI is a new Australian initiative by inSPORTmedia in association with Ski Racing Australia and 321Ignition Magazine to bring you the latest news and results from the big Classic ski racing events. Brad Dutton reports on the 2010 installment of the Rollo’s Marine Yamaha Bridge to Bridge Water Ski Classic. He said, “it was an eventful and exciting weekend for all involved”. The Bridge to Bridge Water Ski Classic is back for its 27th running in 2010 and will be held a month later than usual, on the weekend of November 27 & 28 2010. Norm Griffin affectionately known as “Stormin Normin” has sadly passed away whilst surrounded by his devoted family at approximately 5.40pm on Friday 12th November 2010. 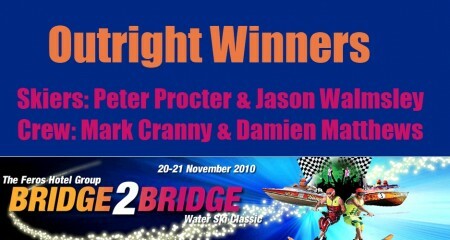 The 2010 Hamilton Bridge to Bridge Water Ski Classic will be held on 27h & 28th of November 2010 down the beautiful Waikato River based in Hamilton, New Zealand. Manel Avella has uploaded this video of racing at Willersbach. Here’s a great video from the 1993 British Water Ski Racing Championships. Hosted by Peter Butler & former two-time World Champions Liz Hobbs (MBE), the event was the final round held in Dundee Scotland. In 1987, Darren Osmotherly completed the Bridge to Bridge Ski Race, skiing backwards to raise money for kids with cancer in a time of 84 minutes after suffering the battling disease himself. The Bridge to Bridge is an annual event held from Brooklyn to Windsor, attracting crowds in the thousands as the all vie for the best vantage point to witness such an event.